At Security Alert UK, we offer a Mobile Patrol Service that is second to none. 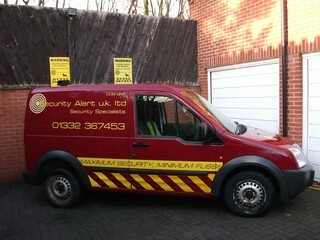 Our fully uniformed guards will patrol your site in our sign written Security Alert high visibility vehicles. This service is an instant deterrent to any intruder that may want to illegally enter your premises. We will log all site visits and mobile patrols, so as customers, you can monitor the level of security needed on a weekly basis. We also offer the Tag guard service to your premise and guarantee to arrive at your site or factory within 12 minutes. Please call Simon or Julia for a free, no obligation quote on 01332 367 453.